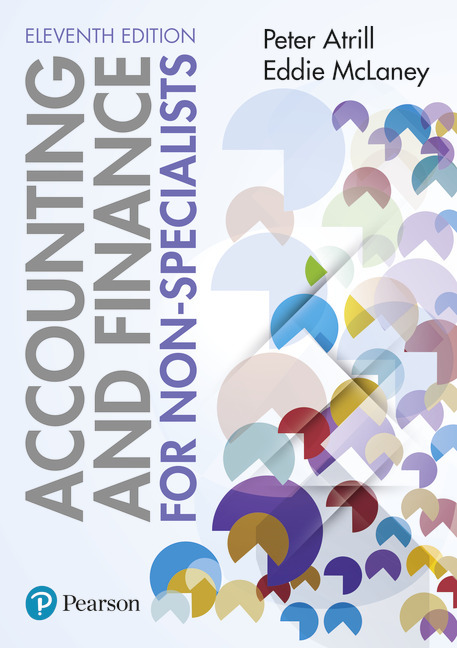 The 11th edition of this market-leading text offers an accessible, effective introduction to key accounting and finance topics. With a focus on decision making, Accounting and Finance for Non-Specialists teaches you how to apply your learning to real-world business scenarios. This title can be supported by MyLab Accounting, an online homework and tutorial system designed to test and build your understanding. MyLab Accounting provides a personalised approach, with instant feedback and numerous additional resources to support your learning. 2. Has an access card been included with the book? Check the inside back cover of the book. 3. If you have a course ID but no access card, go to www.pearson.com/mylab/accounting to buy access. Peter Atrill is a freelance academic and author who has worked with leading institutions in the UK, Europe and SE Asia. He was previously Head of Accounting and Law and Head of Business and Management at the Plymouth University Business School. Eddie McLaney is Visiting Fellow in Accounting and Finance at Plymouth University.